The state of Vermont has designated the Mt. Philo Inn a "Green Hotel". The green effort of the Mt. Philo Inn focuses on re-use of material and a reliance on the local business community. Our commitment to the highest quality means obtaining the best, not just buying new. The state of Vermont has designated the Mt. Philo Inn a "Green Hotel". Re-use: The green effort of the Mt. Philo Inn focuses on re-use of material and a reliance on the local business community. Our commitment to the highest quality means obtaining the best, not just buying new. 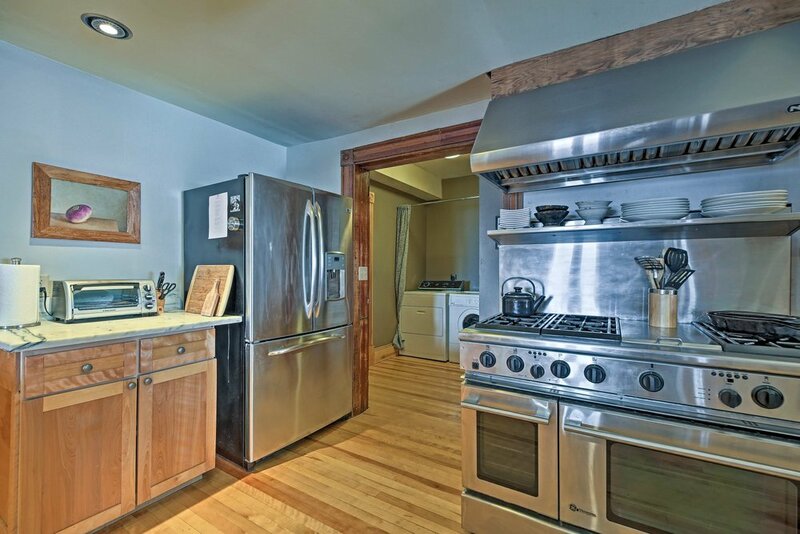 For example, all our high-end appliances have been purchased through ReSource Vermont, a nonprofit community that operates reuse facilities, provides professional training to disadvantaged youth and individuals who are homeless, unemployed, receive public assistance, or struggle with a disability or other barriers to employment. 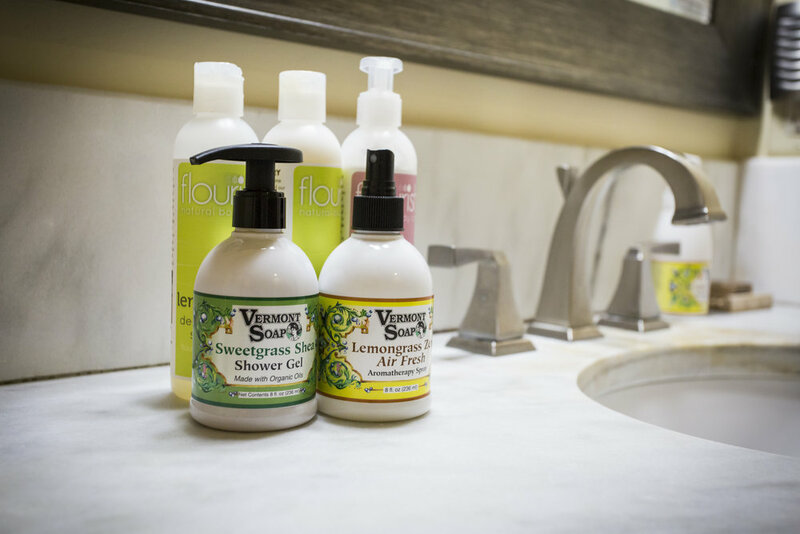 We are proud to utilize locally produced environmentally friendly cleaning products from 7th Generation, Flourish and the Vermont Soap Co. Their environmental benefits, practical use, and Charlotte connections make them the perfect partner. Our extensive use of Vermont marble, slate, Champlain Black, and other Vermont grown stone involves working directly with the local mine, as well as our fabricators, Johnson Marble, who are still using saws and polishers from the 1940's. Our hardwood of choice, yellow birch, is sourced from neighboring Starksboro, prepared in Bristol. Trucking and other environmental costs are significantly reduced. None of our sturdy antique furniture came from Ikea or China, but was collected from over 25 years of hunting the bountiful yard sales of Western Vermont. Significant effort has focused on insulating the Mt. Philo Inn to reduce heat loss. Foam, fiberglass and cellulose have been used under the guidance of the award winning Efficiency Vermont program. Our recycling of waste material is 4-1 to actual garbage. The Mt. Philo Inn is committed to protecting the environment, the health and safety of our employees, guests, and the community in which we conduct our business. It is our policy to seek continual improvement throughout our business operations to lessen our impact on the local and global environment by conserving energy, water and other natural resources; reducing waste generation; recycling and; reducing our use of toxic materials. We are committed to environmental excellence and pollution prevention, meeting or exceeding all environmental regulatory requirements, and to purchasing products which have greater recycled content with lower toxicity and packaging, that reduce the use of natural resources.